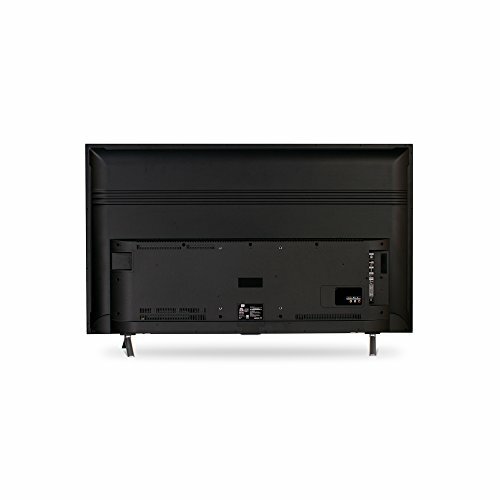 TCL 32S305 is the perfect affordable choice for the bedroom, cabin or the office. 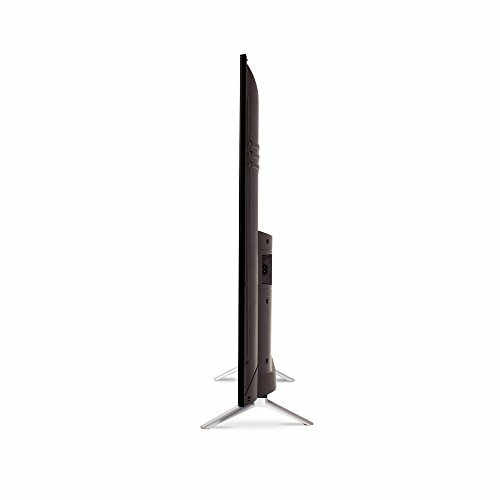 With it’ 720p display and smart Roku TV system, you get a bang for the buck. In today’s review, we will take a closer look to find out, just how good the 32S305 really is and what it can offer. The 32S305 is the smaller version of the TCL 40S305 TV which you might remember from our earlier reviews. There are few differences on that and the smaller 32-inch TV we are focusing today. As most people might say: “Size matters”, and surprisingly this TV doesn’t weight that much compared to the size of 28.9 x 7.2 x 19.2 inches. 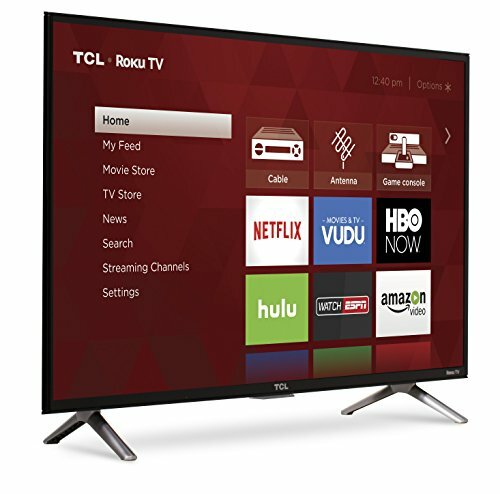 The TCL only weights around 9.9 pounds. On the right side, you can find the optical output, antenna, USB, 2 HDMI ports and factory reset button. Same side on the back you can find the video connectors. Surprisingly the TCL 32S305 is also equipped with an 802.11n Wi-Fi meaning you can easily connect it to your home network. This also saves you from the extra hassle and finding long enough cable for it to get it connected to the internet. 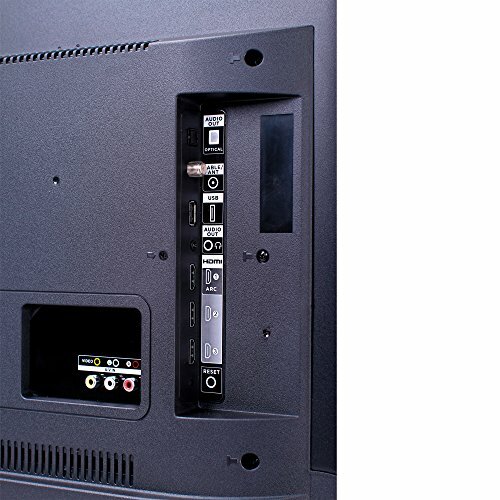 Speakers are located at the bottom of the TV on the left and right side. On the bottom middle, you can find the power button as well as the left and right arrow aka control buttons. On the 32-inch TV, you get a nice crisp 720p TV which should be enough for most viewers. If you really want to go for the FULL HD we do recommend heavily on checking out the TCL 40S305 which is a bit pricier but comes with a bigger screen and better image quality. Another thing that you might be interested in, is that the TCL 32S305a refresh rate of only 60Hz, meaning its not the best TV for gaming, but does work with most consoles that limit their frame rate to 60Hz anyway. 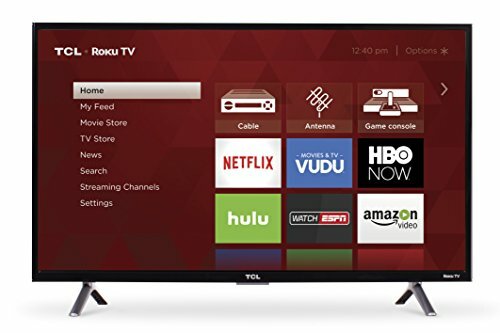 Now for the Roku TV that you get with the TCL S-Series 40S305, all we can say is that we absolutely love it. Setting it up is super easy. The tv walks you through the steps to set up your Netflix, Hulu, HBO Now etc and with the universal search, you find new content quickly and easily. 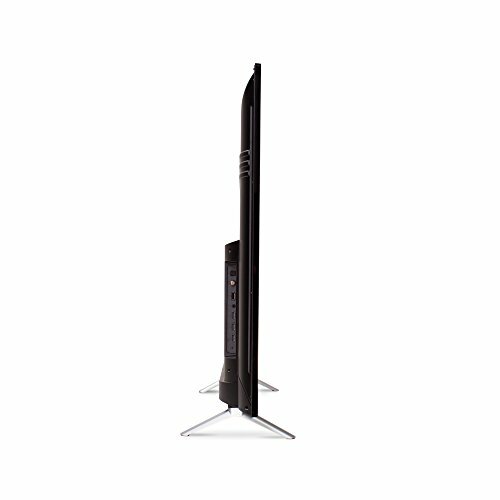 Samsung, LG, and other tv companies have done some great work with their smart TVs but they just don’t get to the same usability yet as the Roku TV. The big difference here is also the free phone app for Roku TV that allows you to use the tv with your smartphone. 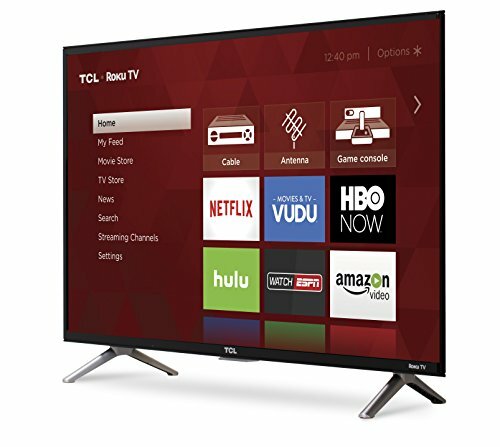 The remote for the TCL 32S305 is an infrared remote so you need to have a visual on the TV to use it, but this is not a big deal thanks to the smartphone app. Unlike most remotes, you actually find the volume up/down and mute buttons on the right side of the remote. If you’re not happy with the remote there is another way to control your TV which is using the Roku TV app that lets you change channels and even use voice commands to control your tv with your phone. There have been some obvious problems with the TVs quality control, but overall people have been very happy about what they get.